The Melrose Chamber of Commerce's annual Summer Stroll is a fun summer evening in downtown Melrose every July. 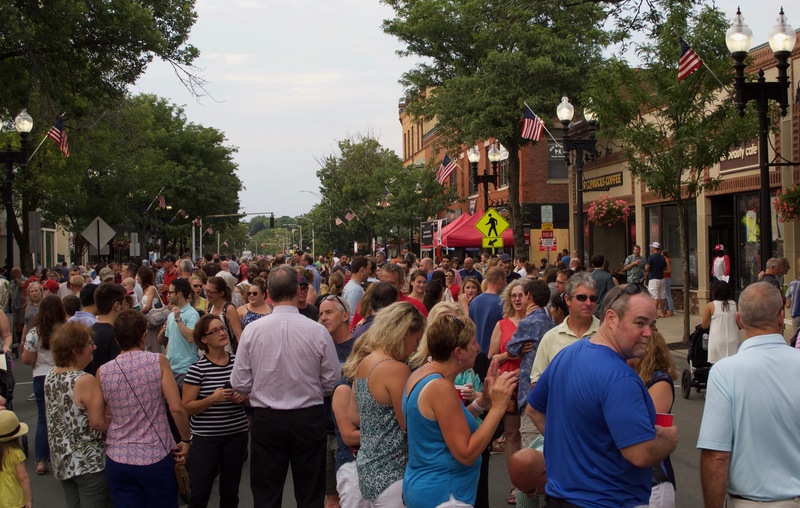 With support from the City of Melrose, the Melrose Messina Fund for the Arts, and our Event Music Sponsors Main Street and Essex Street in Downtown Melrose is closed to vehicles and transformed into a spacious pedestrian walk way. You are invited to come down and take some time to stroll and discover what makes Downtown Melrose so special. Patronize your favorite restaurants and retailers, while visiting ones that are new to you! From 6:00pm – 9:00pm, there will be multiple, live musical performances in different locations by area musicians and a magical illusionist who will entertain the crowds. Restaurants will serve food and beverages on the sidewalk, while local merchants will offer tastings, specials and sales within their stores. Children’s programming will be offered at Joy Yoga in Melrose so parents can enjoy a night out. The Melrose Family YMCA will offer it’s Family Members a free Kid’s Night Out in conjunction with the Summer Stroll, from 5:30pm-8:30pm. Limited space is available for YMCA Family Members only and registration is required so call the YMCA at 781-665-4360. This is a Rain or Shine event. Please note this is not a tabling event or an expo and we do not have outside vendors/groups set up along Main Street. For a tabling opportunity, join us for the Victorian Fair.